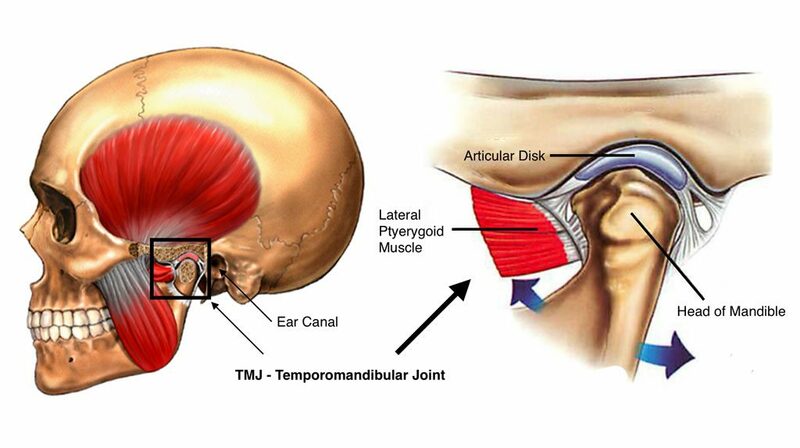 TMJ disorders or temporomandibular joint disorders (TMJ, TMD) are comprised of conditions that affect the jaw joint and surrounding muscles, causing pain with movement and affecting functionality which can often worsen over time. The temporomandibular joints, located on either side of the jaw, hinge the upper and lower jaw together and attach the jawbone to the skull. 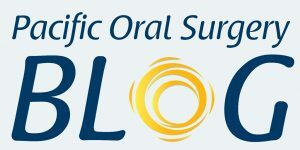 TMJ specialist, Dr. James Jacobs of Pacific Oral Surgery, discusses causes and treatment of TMJ disorder such as persistent jaw pain or tenderness and/or can’t open and close your jaw completely. When a pathology is present, pain and discomfort can occur. The exact cause of a TMJ disorder is not always known. The jaw joints interact with bones that are covered in cartilage and separated by a small disc. These structures keep the jaw joint functioning smoothly as it slides back and forth. Osteoarthritis, rheumatoid arthritis, and connective tissue diseases can also negatively affect the temporomandibular joints. 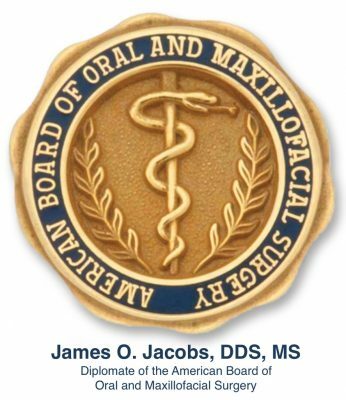 Treatment for TMJ disorders always starts conservatively. Medications, therapies, or corticosteroid injections can be extremely helpful in alleviating the discomfort associated with TMJ disorders. However, if these methods are unsuccessful, surgery may be the best way to treat the condition. 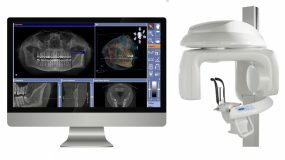 In addition, a TMJ pathology can create or present with a jaw or facial abnormality that necessitates orthognathic jaw surgery. Adolescent internal condylar resorption (also called cheerleader syndrome): Condition affecting primarily girls during puberty (ages 11-15) in which a disc becomes displaced and the ends of the jawbone begin to dissolve, causing jaw retrusion. If you are experiencing symptoms of TMJ disorder, contact our office for an evaluation. 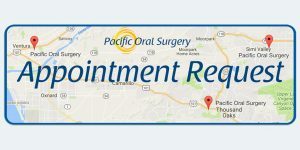 To arrange a consultation with a doctor at Pacific Oral Surgery, please submit an online appointment request or call one of our Pacific Oral Surgery offices located in Ventura, Thousand Oaks and Simi Valley. 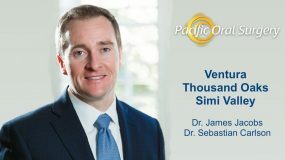 Our team of oral, maxillofacial and dental implant surgeons, Dr. James Jacobs, Dr. John Webb, and Dr. Sebastian Carlson, welcomes you to our Pacific Oral Surgery practice.